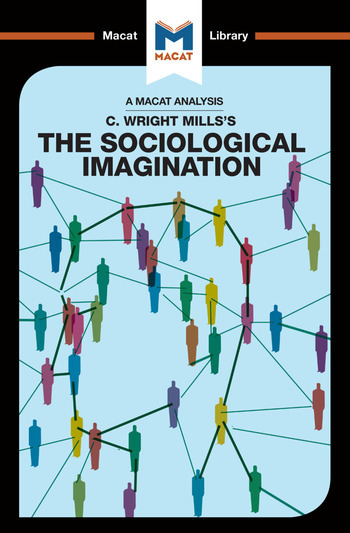 C. Wright Mills’s 1959 book The Sociological Imagination is widely regarded as one of the most influential works of post-war sociology. At its heart, the work is a closely reasoned argument about the nature and aims of sociology, one that sets out a manifesto and roadmap for the field. Its wide acceptance and popular reception is a clear demonstration of the rhetorical power of Wright’s strong reasoning skills. In critical thinking, reasoning involves the creation of an argument that is strong, balanced, and, of course, persuasive. In Mills’s case, this core argument makes a case for what he terms the “sociological imagination”, a particular quality of mind capable of analyzing how individual lives fit into, and interact with, social structures. Only by adopting such an approach, Mills argues, can sociologists see the private troubles of individuals as the social issues they really are. Allied to this central argument are supporting arguments for the need for sociology to maintain its independence from corporations and governments, and for social scientists to steer away from ‘high theory’ and focus on the real difficulties of everyday life. Carefully organized, watertight and persuasive, The Sociological Imagination exemplifies reasoned argument at its best.